Since the not-so-recent Korean wave – or hallyu – erupted, nearly everyone I know are starting to prefer Korean food over good ol’ Western dishes. Even my long-time favourite cuisine, Japanese, seems to be losing popularity amongst friends. Unfortunately, Korean restaurants aren’t always a feasible option for get-togethers as majority of them are non-Muslim friendly. Halal Korean restaurants are so rare, there are only a handful of known Muis-certified halal eateries serving Korean food! Thankfully, each of these places have differing specialties. 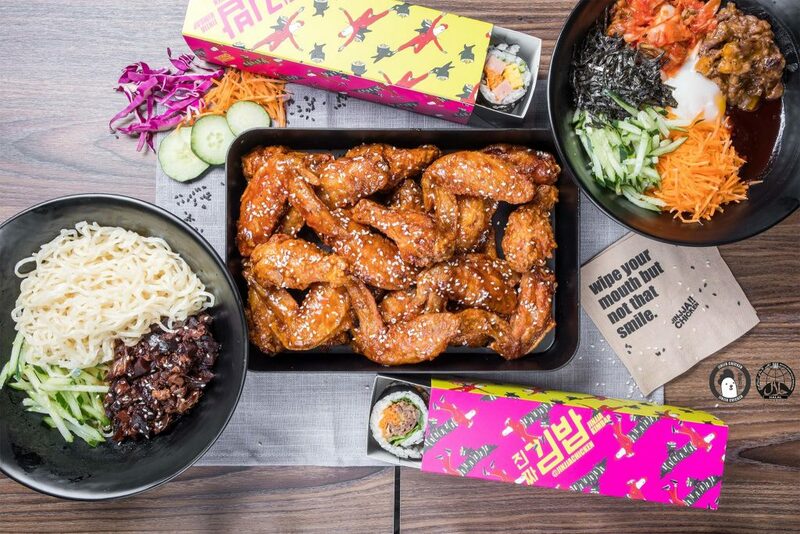 So whether you’re craving for finger-lickin’ good Korean fried chicken wings or a comforting pot of army stew, these joints serving halal Korean food have got you covered. Move aside Korean fried chicken and Korean BBQ, army stew is the hottest Korean dish to hit Singapore. And doing a decent budae jjigae is Mukshidonna. When we were there, we ordered their Cheese Tteokbokki ($13.90), the original Budae Teokbokki ($13.90) and additional Ramyeon ($3) noodles, which the friendly staff added into the gochujang hot pot filled with the standard ingredients of tteokbokki, Korean fishcakes, and vegetables. Check out our full review of Mukshidonna! Roll up your sleeves and be prepared to get your fingers dirty at Jinjja Chicken. Offering three seasonings – Soy Garlic, Yangnyeom, Monster – we recommend ordering their Mix Jinjja Wings ($7.90 for six, $14.90 for 12, $19.90 for 18 pieces) to have the best of everything. Aside from Korean fried chicken, they also serve other Korean delights like kimbap, jiajangmyeon, and bibimbap. Muk Bang Korean Restaurant is famed for their halal army stew. 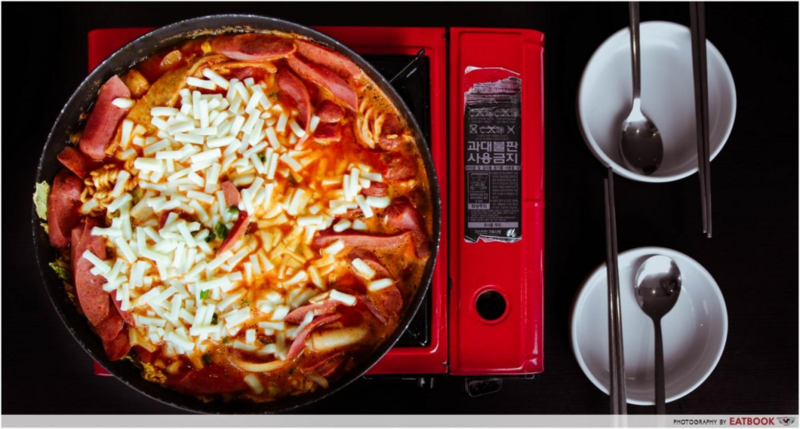 The hottest item on the menu – literally – is the fiery Budae Jjigae ($36) that’s suitable for two to three people. 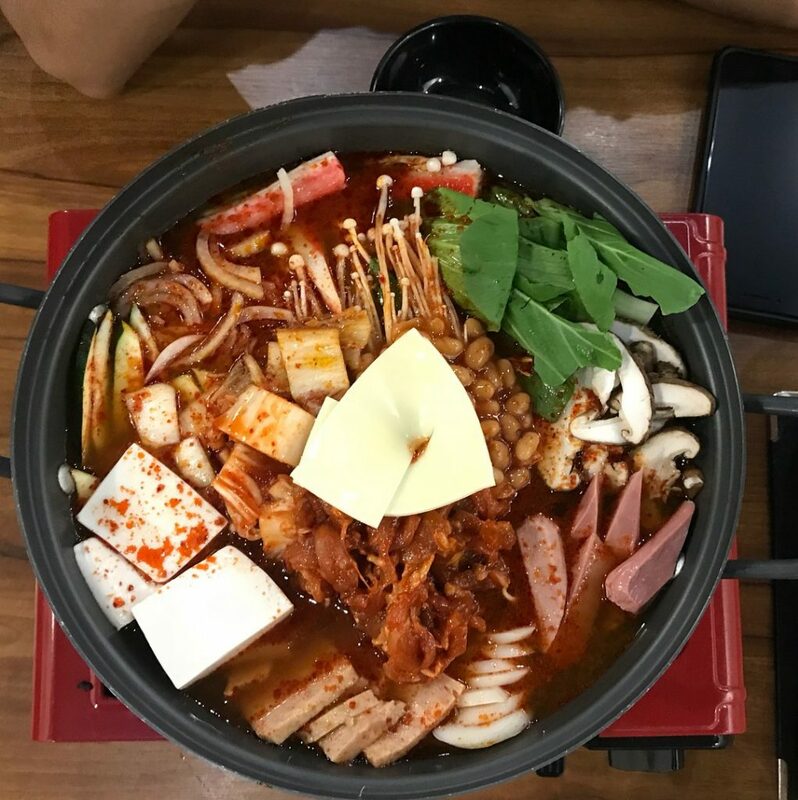 Swimming in the spicy broth are heaps of chicken, chicken ham, chicken sausage, tteok, baked beans, tofu, mushroom, kimchi, ramen, and cheese. On the side, order their Kimchi Jeon ($16); a light seafood pancake comprising of fresh prawns, squid, and scallions. 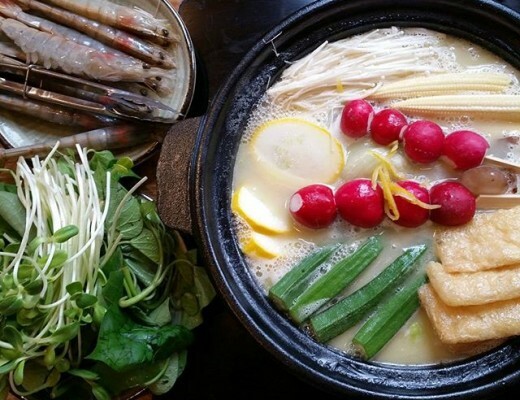 Muk Bang Korean Restaurant is halal-certified. Another Korean fusion restaurant on the list, Omoomodon specialises in Korean grain bowls. Diners who get easily bored of repetitive flavours can order the Ji-Ji Don ($10), which comes with spicy chicken, teriyaki chicken and soy garlic chicken winglets, as well as an onsen egg. Fans of kimchi will enjoy Spichi ($9.50); a heady kimchi udon bowl complete with kimchi omelette and spicy octopus. Opened by chef Ummi Abdullah, the woman behind Ambeng Cafe, NOOSH Noodle Bar and Grill incorporates Asian flavours into Western dishes. While their Korean food options are limited to the two stated in this write-up, the taste is top class. 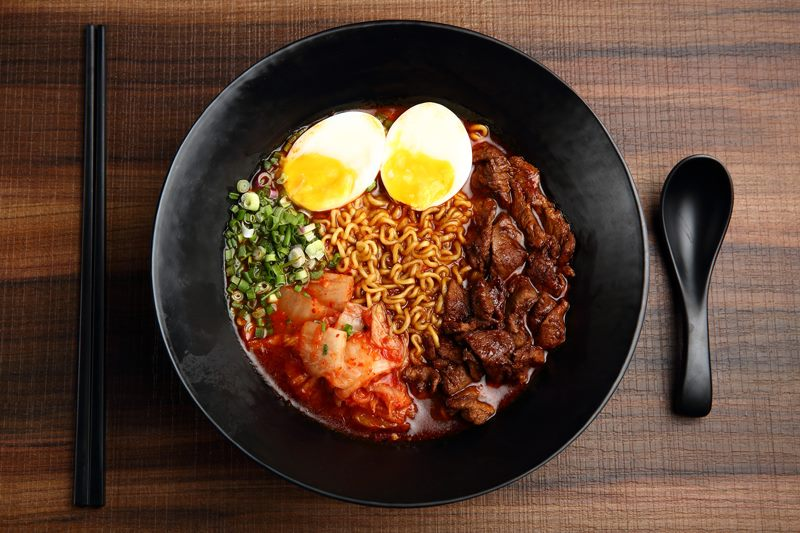 Prepare to sweat buckets when you slurp up their Spicy Beef Ramyeon ($16.90) showcasing generous slices of bulgogi beef braised in Korean hot bean paste. Chef Ummi also does her own rendition of tteokbokki, in the Noosh Style Ddeokbokki ($16.90) that ‘s topped with bonito flakes. NOOSH Noodle Bar and Grill is a Muslim-owned eatery. Popular among the office crowd is Dosirak. Inspired by the balanced meals Korean housewives prepare for their families, each of the cute package provides an all-rounded, nutritious meal. Those watching the scale will be happy to know that each of their signature meals fall below 500 calories! 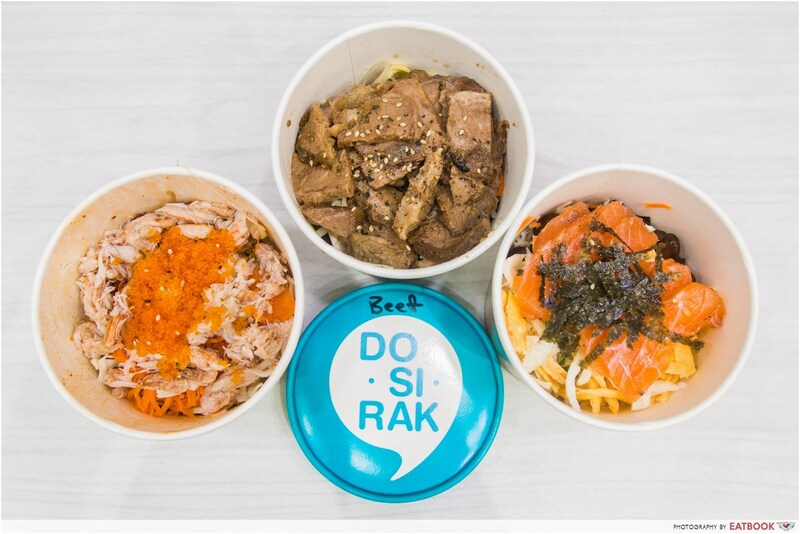 Must-orders include beef bulgogi with cauliflower rice ($11.90) and kimchi tofu with short grain rice ($7.90). 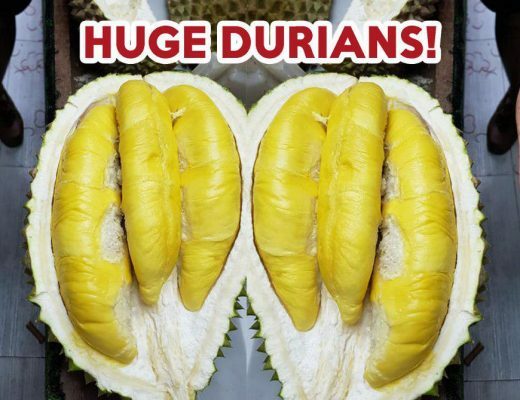 Address: 18 Cross Street, #01-02, China Square Central, Singapore 048423. 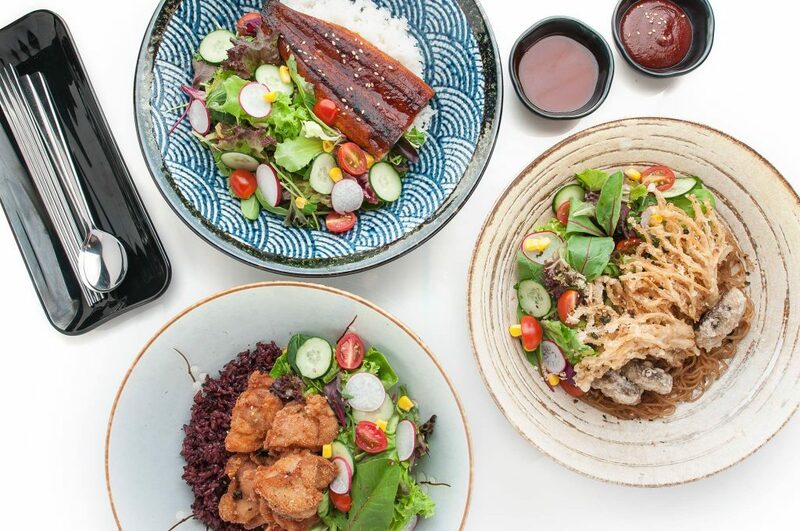 Helming the kitchen at Food Lovers Only is a 19-year old chef from Korea, who whips up a slew of delicious K-fusion dishes. 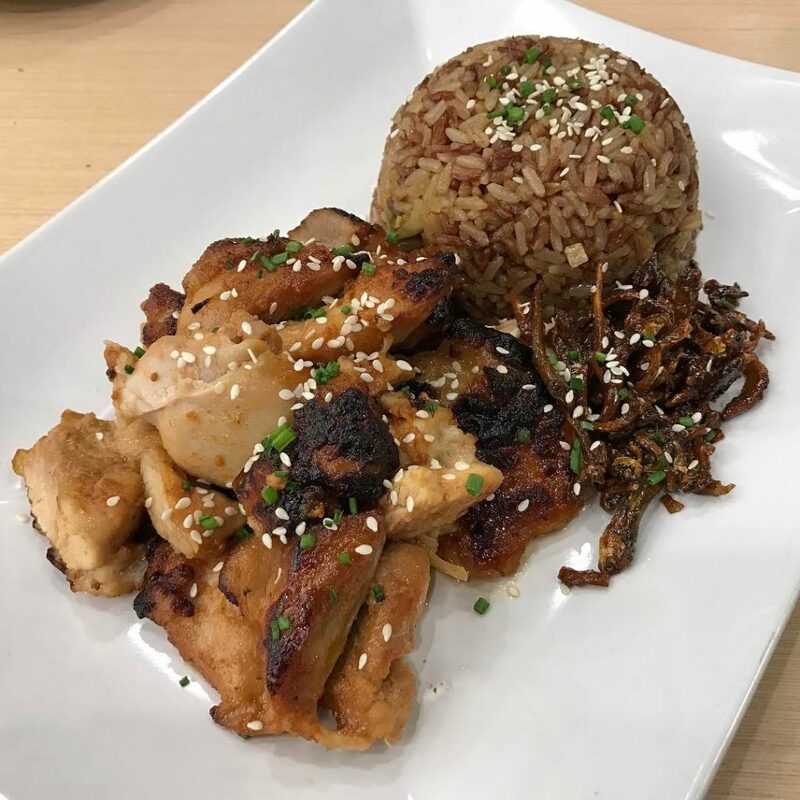 Promising to satiate your appetite is the Korean Inspired Marinated Chicken ($16) featuring juicy slices of chicken along with kimchi fried rice and myulchi bokkeum (fried anchovies). Always wanted beef bulgogi in a sandwich? Now you can with their Korean Beef Bulgogi Sandwich ($15) boasting robust beef slices and mozzarella cheese nestled between chewy ciabatta bread, and then toasted to result in a cheesy, stringy pull. Food Lovers Only is halal-certified. 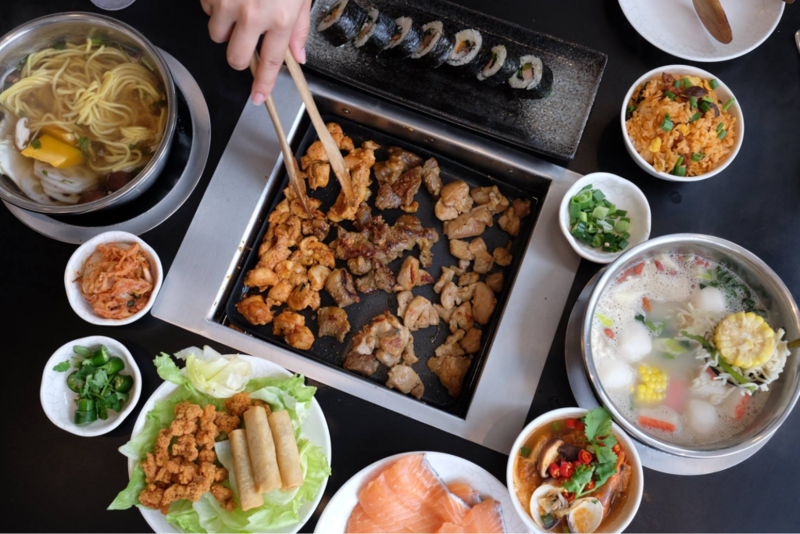 One of Singapore’s longest-standing Korean buffet, Seoul Garden is currently the only halal Korean BBQ in our Lion City. Take delight in a wide selection of up to 130 ingredients and sides, as well as a variety of sweet treats. Keeping you occupied while you wait for your food to sizzle up is an array of scrummy ready-to-eat dishes like popcorn chicken and tteokbokki. For an additional $3.99++, you can also savour their premium soup bases like kimchi jjigae and ginseng chicken. Sweet, sour, and spicy – Korean food is straight up delicious. 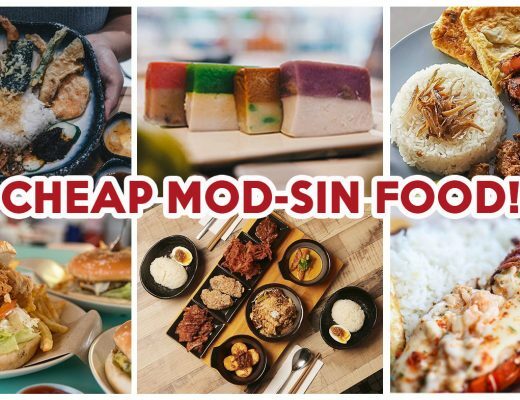 Learn some Korean dining practices, before further fulfilling your K-drama induced cravings at these affordable Korean food joints. Featured image taken from Instagram user @idasyahida‘s post.